Great for always having clean parts ready to go. 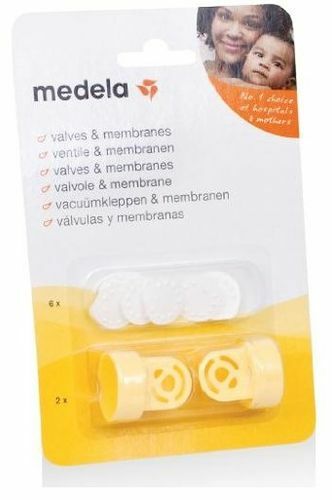 Authentic medela spare parts are engineered, tested and approved to work specifically with your Medela breast pump. Non medela spare parts can vary significantly in design, materials, and workmanship. All of which may affect the performance of your medela breast pump. Made without BPA safe for mom and baby. All parts that come into contact with breast milk are not made with BPA. Includes 2 valves and 2 membranes. Engineered, tested and approved to work specifically with your Medela breast pump. Includes: 2 Valves & 6 membranes.